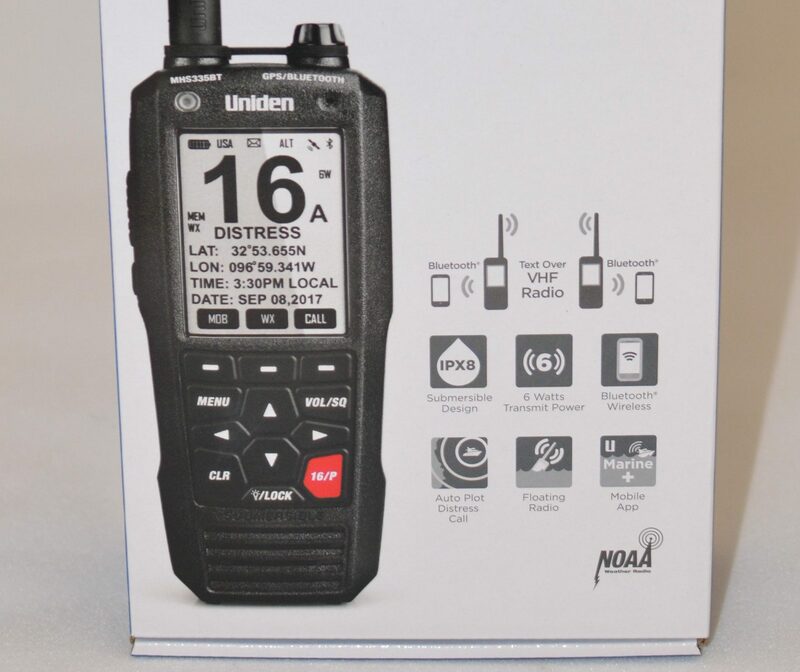 When I first read Uniden’s MHS335B handheld VHF press release, the feature that really intrigued me was “Maritime Industry-First Private Text Messaging.” The release was a little short on details but did say, “Text directly from your phone to other VHF radios.” I was left with more questions than answers, but was glad when Uniden kindly loaned me two radios to see all their VHF, GPS, DSC, and texting features hand’s on. 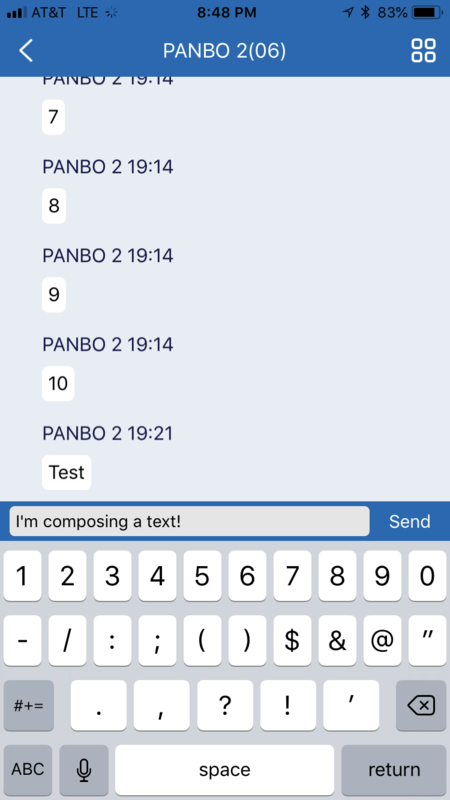 Thinking about the use-cases for the VHF-to-VHF texting, I came up with two scenarios, the first from my own cruising experience. Cell phone service in the Bahamas was pretty reliable, but many people don’t turn on their phones while out of the country for fear of unexpected roaming charges. 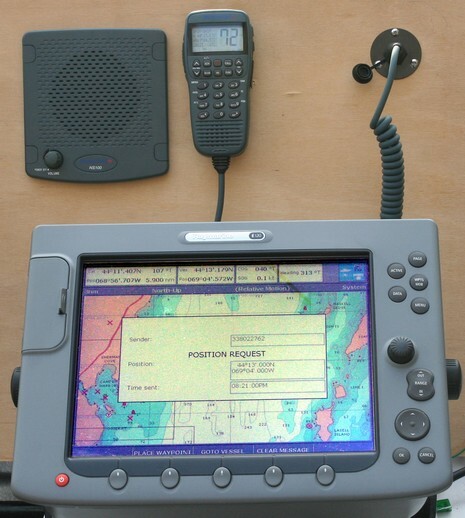 As a result, boats traveling together typically tried to stay in touch by keeping a VHF radio on a previously agreed channel. This worked well if you were within ear-shot of the radio when someone was calling, but frequently calls were missed. Texting would potentially work well in this case. The other use-case that comes to mind is fishermen exchanging information in areas of limited cellular coverage without broadcasting it on VHF for everyone to hear. When the MHS335BTs arrived, I noted that the box seemed pretty heavy. The radio itself is actually pretty light — owing to the fact that it floats — and weighs in at just under 11 ounces with battery, belt-clip, and antenna. But the box had heft because Uniden includes nearly every accessory you might want (except for a separate speaker-mic). You get a nice charging cradle (with an output for connecting to external devices via NMEA-0183), a lithium-ion battery, a 120v AC adapter, and a 12v DC adapter. I quickly opened up the boxes, connected the battery and antenna and powered up the radio. I did notice the display wasn’t quite as contrasty or easy-to-see as pictured on the box, but not bad. Upon power-up the radio prompts you to enter an MMSI, so I hopped over to Boat U.S.’s MMSI registration site and registered two new ones. 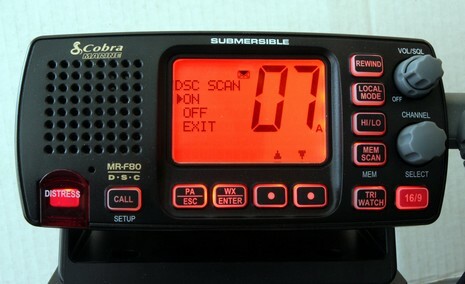 With an MMSI input, the radio powers up to the default display showing current channel and GPS info, with status icons on top of the display and soft-key menus on the bottom of the display. After using the handheld for a while, I think it’s a well designed and nice handling radio. Among the features not yet mentioned, it has 6w transmitting, dual/tri watch or full scanning, noise cancellation, water-activated MOB distress and strobe function. 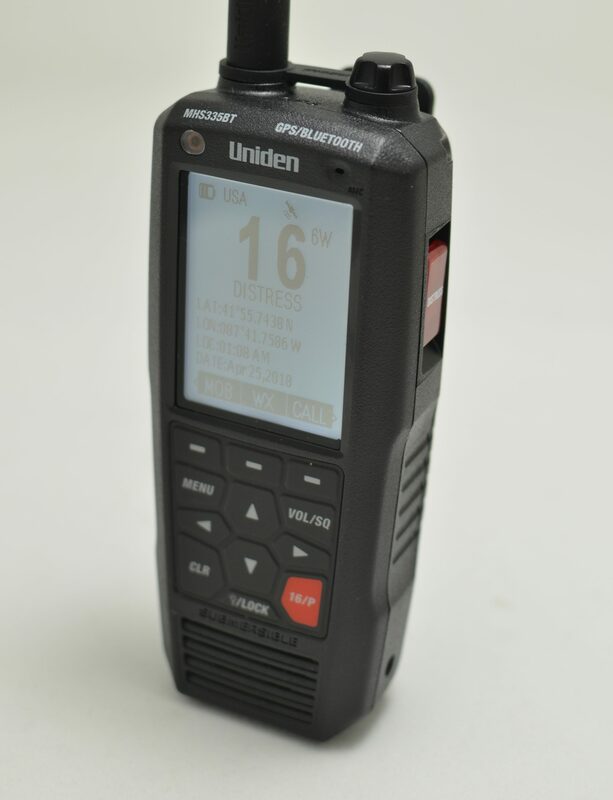 The Uniden and its West Marine twin are full DSC/GPS/VHF handhelds bringing all the DSC digital distress (with position), direct/group calling, position polling, and navigation functions Ben has covered on other handhelds. 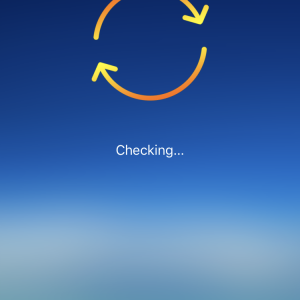 The audio is clear, the menus are easy to navigate, and the GPS locked on quickly. If Uniden had included the 60-second rewind function we’ve seen on some other radios, it would have everything I could ask for. The MHS335BT feels good in your hand, it’s a nice size, and it’s easy to reach the side mounted transmit and monitor buttons. One gripe: I’m never happy to see volume controls buried in a function key arrangement, and that’s just what you will find on the Uniden. 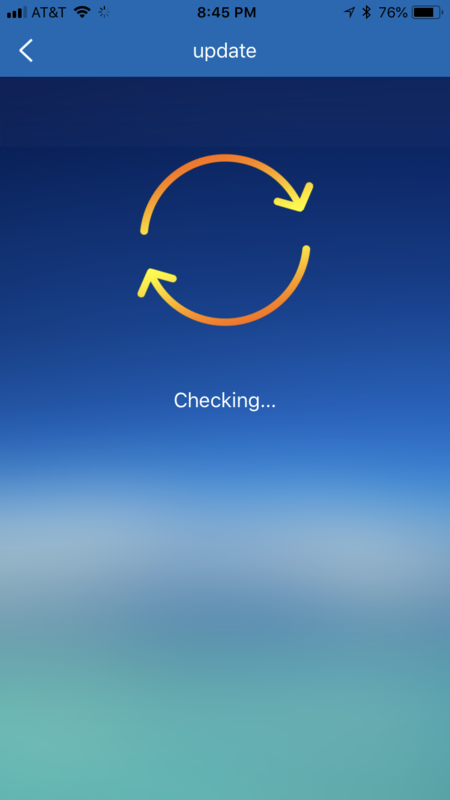 To change the volume or adjust squelch you press the Vol/Sq button once for volume, twice for squelch, then use the up and down arrows of the four-way keypad to adjust. I’d MUCH prefer a volume knob on top of the radio with a ring around the volume for squelch. The connector for an external speaker/mic is on the right side of the radio where you might expect to find the volume knob. 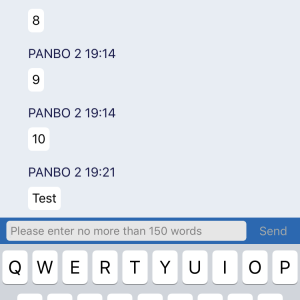 Most people will choose to compose their message in the Uniden Marine mobile app connected by Bluetooth to the radio because the typing is so much easier. Once the radio has received the message from the app it will be transmitted via a combination of DSC and VDSMS over VHF frequencies to the destination radio. And once the text is sent, both radios will switch to the channel specified for texting so that continuing the conversation by voice is as easy as pressing the transmit button and speaking. Let’s look at the process in detail. Sending a message starts with choosing a contact. 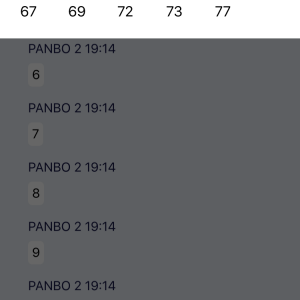 The contacts are integrated with the 335’s DSC contact list — they’re just friendly names applied to MMSIs — and it’s also worth mentioning that adding them from the app is a lot more pleasant than the typical difficulty of entering names and numbers with a handheld VHF’s limited user interface. 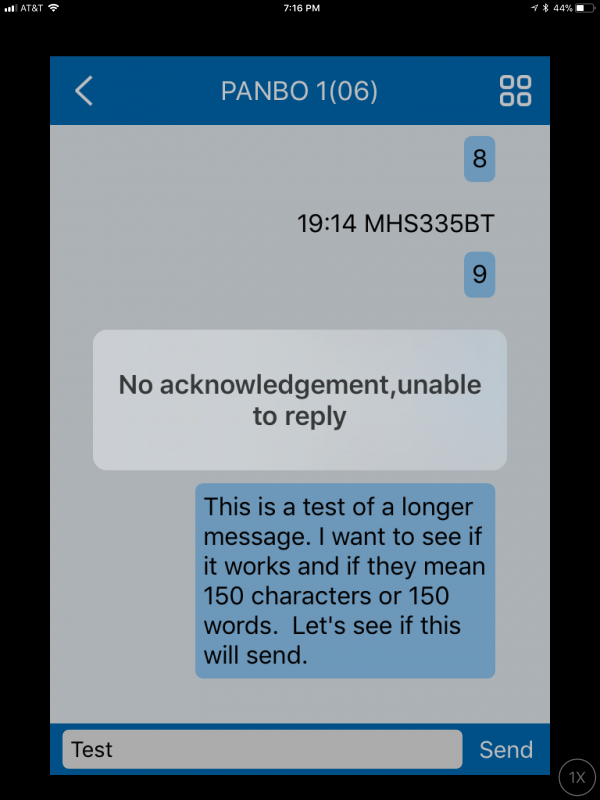 Text messages can only be sent to a single contact MMSI, and currently a group MMSI message isn’t supported. With the contact selected it’s time to start composing a message. What happens next involves some DSC and then modulation magic. The sending radio initiates a DSC individual call to the receiving MMSI, and if the radio with that MMSI acknowledges the call, then both radios move to the channel configured for transmission. That’s the end of the DSC portion of the texting. 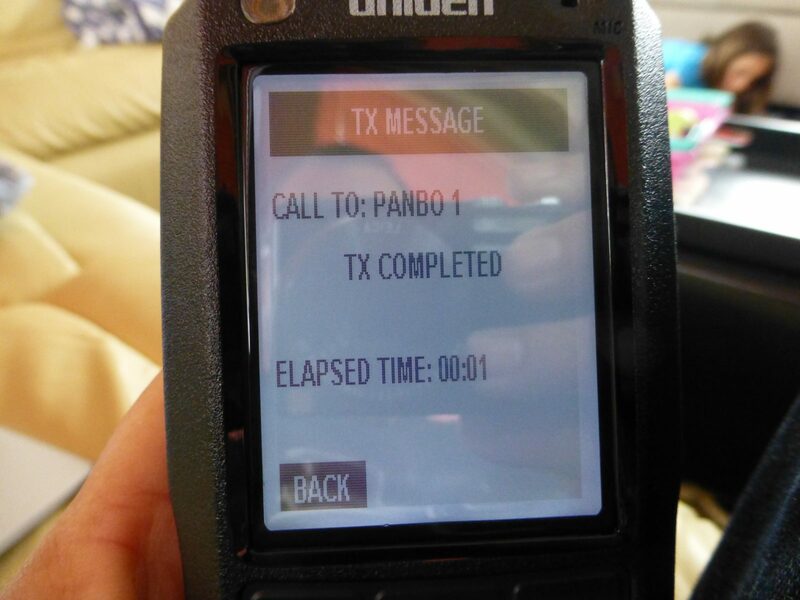 After I’d set up the radios and configured their contact directories, it was time to send some texts between the two handhelds. 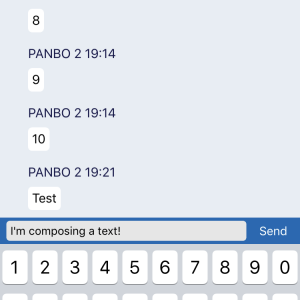 It seems to take 2 to 5 seconds between when you hit Send in the app and when the receiving radio beeps to indicate it’s received a text. 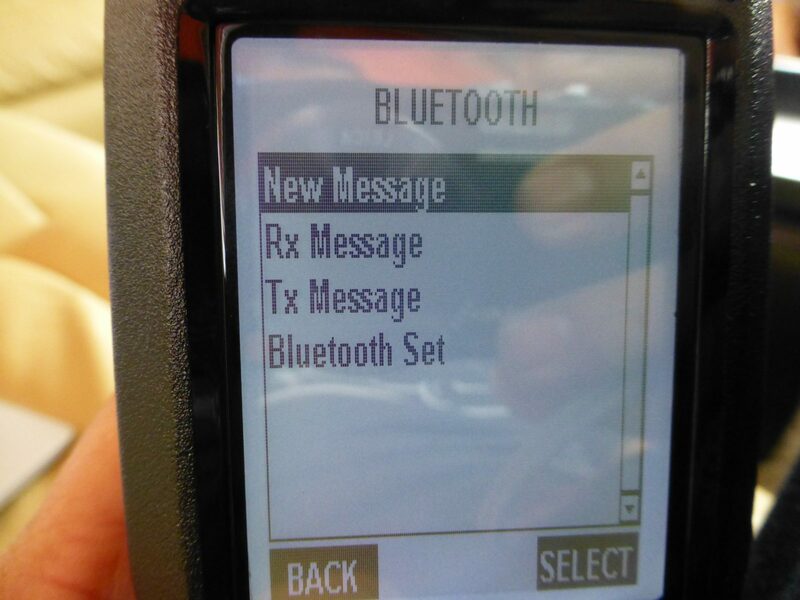 After sending a few texts I left the handhelds alone for a few minutes and, as I’ve seen with other Bluetooth integrations, the radio and mobile devices did not reestablish their connection right away. Actually, I had to click around a few times to get things working. Also, after turning the radios off and on, I again had some difficulty getting Bluetooth reconnected. While my iPhone reconnected to one radio right away, my iPad was unwilling to reconnect with the other. It took several rounds of un-pairing and re-pairing to get them talking again, and I saw this behavior repeated a couple of times during my testing. 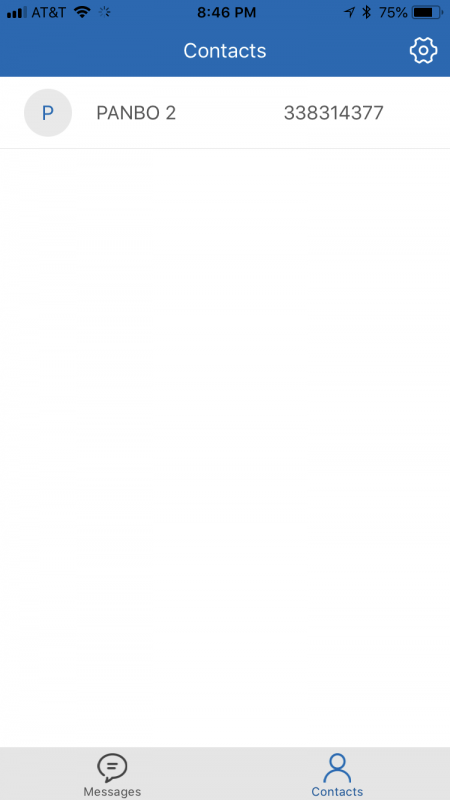 Next I tested a longer message. I hadn’t yet realized the 150 word typo in the app, but in fact the text above is only 133 characters. But it didn’t work, and subsequent tries were met with the same error. 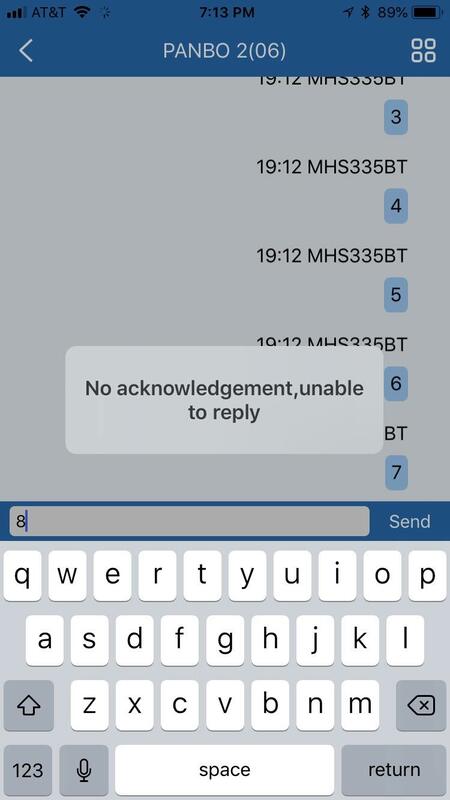 Once a message failed to send, it seemed to gum up the works, and usually it was several minutes before additional messages would send. I had pretty much concluded that while Uniden deserves points for trailblazing VDSMS, it’s not ready for prime time. 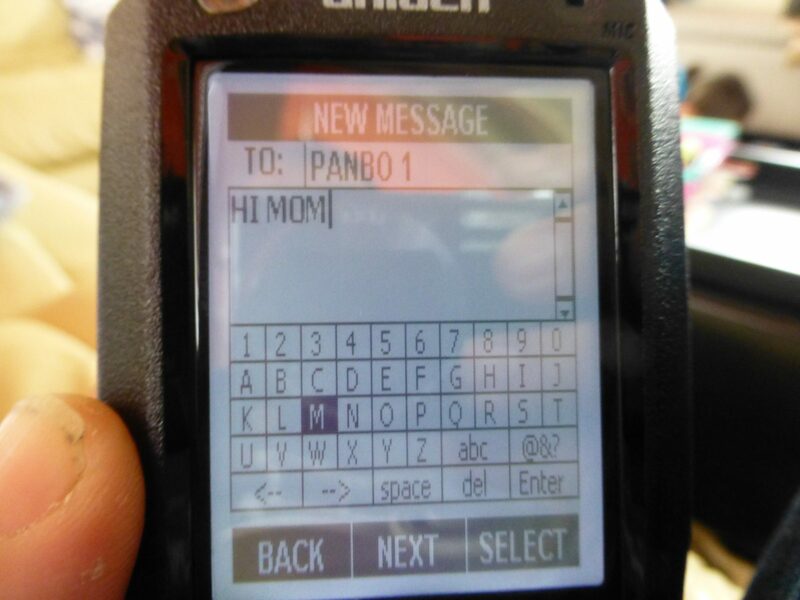 But then I tried typing and sending a text using only the MHS335BT handheld, no app or Bluetooth involved. Eureka, suddenly things got very reliable. 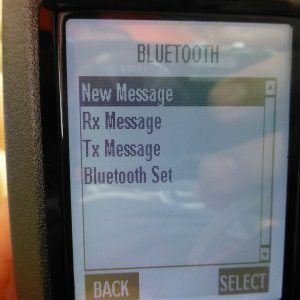 The menu to access texting on the handheld is somewhat counter-intuitively named “Bluetooth” (perhaps Texting or SMS would be better). There you select “New Message” and then the contact. 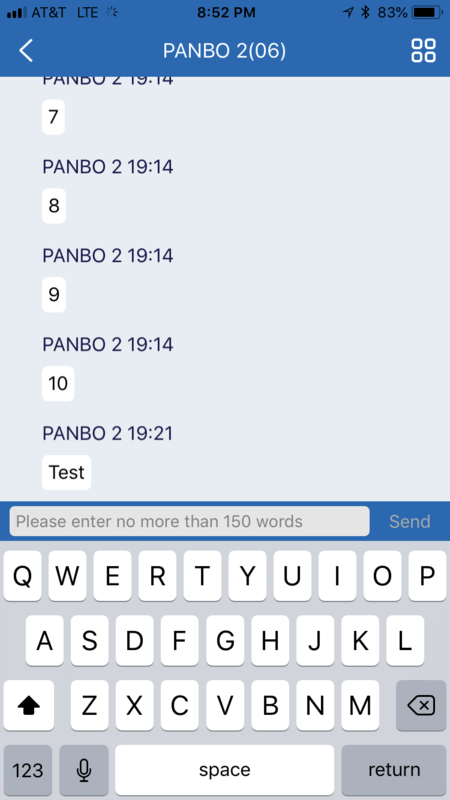 You type your message using the four-way directional pad and the on-screen keyboard shown above, which is a little tedious but doable for short messages. Finally, using the softkeys across the bottom, you select finish (and optionally change the channel). 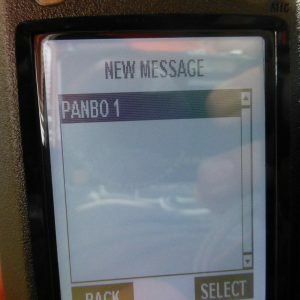 The last picture above shows the notification message on the receiving radio, which is accompanied by a beep and also the envelope icon on the top right corner of the display. 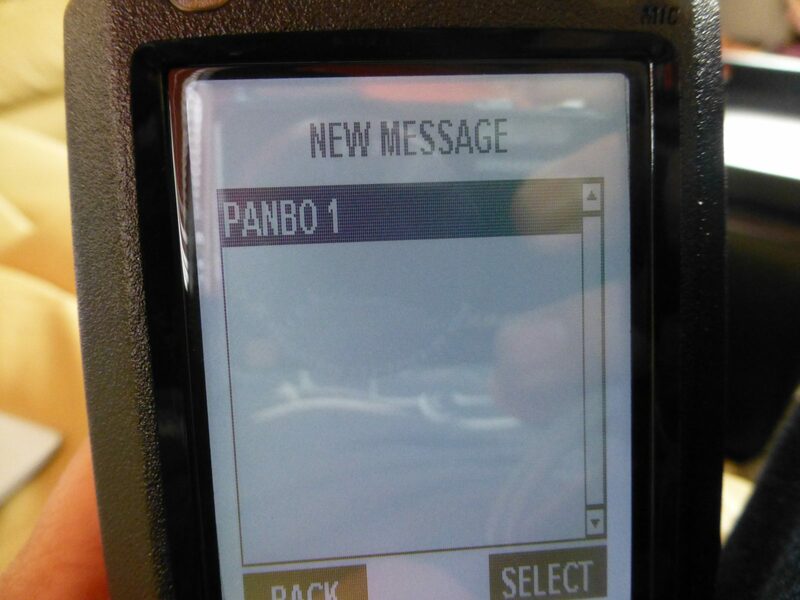 My text testing directly on the radios was 100% successful. 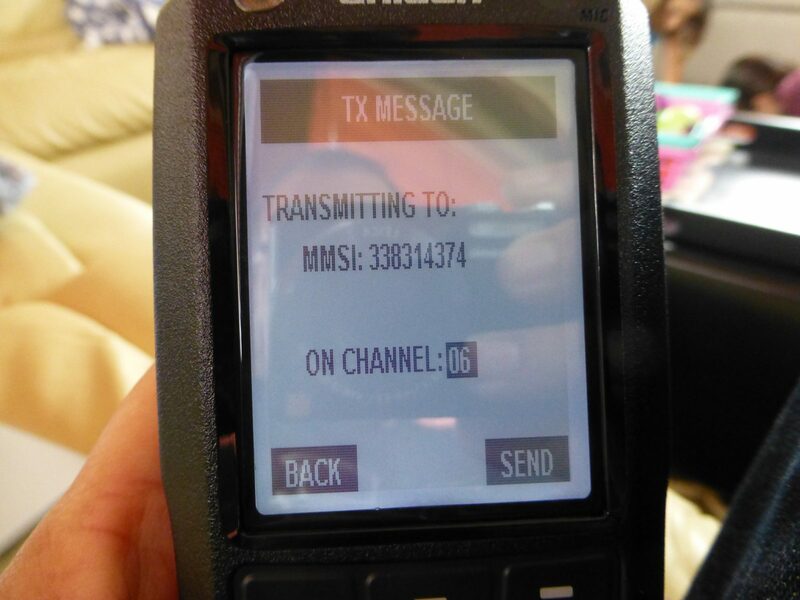 So the VHF text transmission seems quite reliable, but the Bluetooth app integration apparently needs some work. 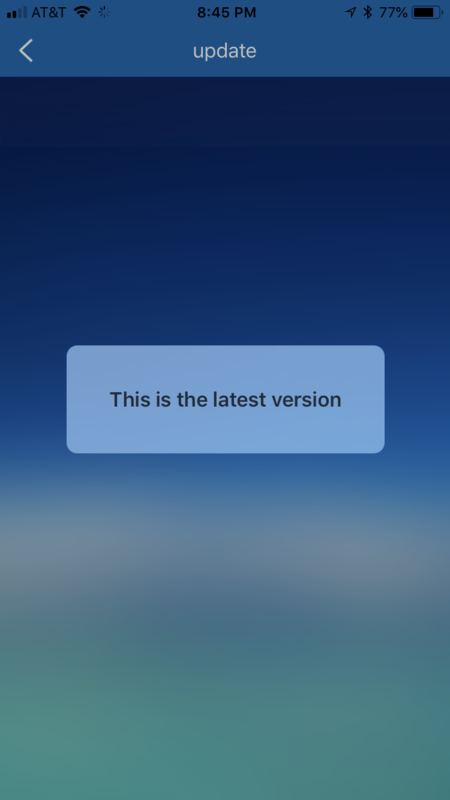 And while you won’t be surprised to see an improved version of the app easily download to your phone or tablet, how about a marine VHF that can be updated almost as easily? 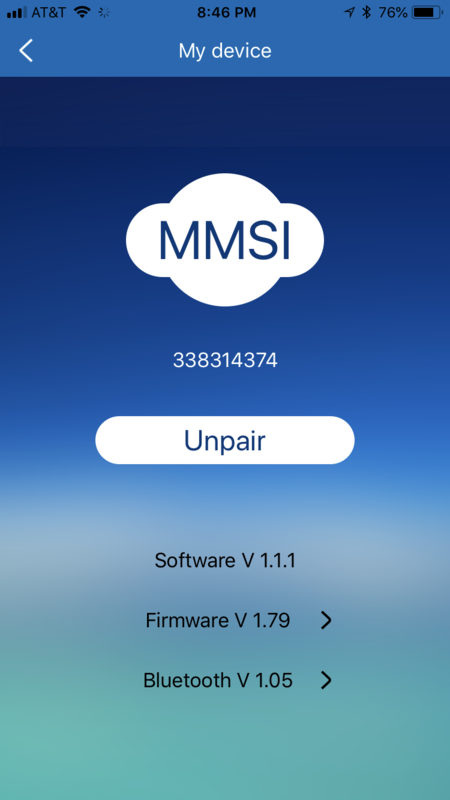 An additional benefit of the MHS335BT’s Bluetooth connection and associated app is their ability to update the radio’s firmware. The test units didn’t need updates, but I was able to try out the firmware checking mechanism and see how the handheld used the phone’s network connection to quickly verify that my firmware was current. While we’re talking about the Bluetooth, I did ask Uniden’s Kent Duncan if a Bluetooth headset or similar wireless audio device could be paired with the handheld. Unfortunately, that’s not possible because the MHS-335BT uses a Bluetooth Low Energy (BLE) radio that does not support audio devices. 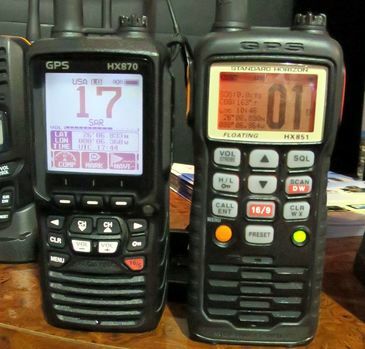 The MHS-335BT is a very nice DSC/GPS/VHF handheld with a lot of features listing at $249. 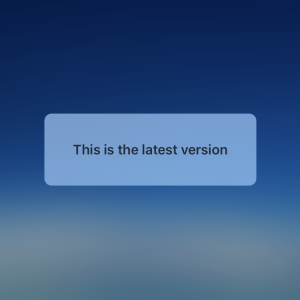 So even if the intriguing texting feature is not fully baked — or at least, the easy-to-type-in app aspect of it –it doesn’t seem like you’re paying much for it anyway, plus it’s likely to improve over time. 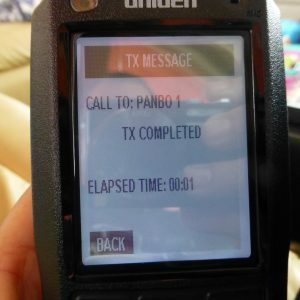 As to the bigger picture, I asked about possible fixed VHF radios with the texting feature, and although Uniden has no such public plans, it does seem like a natural next step. 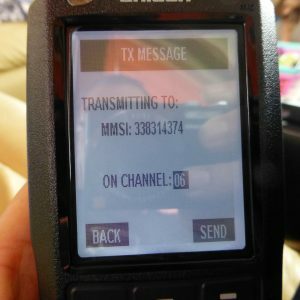 And a last bit of speculation concerns compatibility between Uniden VHF texting and what other manufacturers may do with VDSMS. While Uniden is the first to use the openly available RTCM standard, apparently that standard is loose enough that different implementations may not work with each other. So, let’s be careful with expectations. Cobra F80, and what to do about G.O.? Next story Garmin’s new ActiveCaptain Community site, what’s good and what’s not? Previous story Fusion Apollo Series, truly “The Sum of Audio Innovation”? A tip of the hat to Uniden for being the first radio to take advantage of VDSMS. I believe ITU Recommendation “M.1084-5, Interim solutions for improved efficiency in the use of the band 156-174 MHz by stations in the maritime mobile service,” provides for this service. And the FCC band plan changes made in January 2017 provided allocations for it. for more information on allowed channels. July 2009” seems to also be applicable. I came across your postings while researching my article. I appreciate all the information you provided. Thanks for all the info! As an aside, I have an Icom M506, and I have the editing software – does anyone know if it can handle a 4-digit channel number/name? 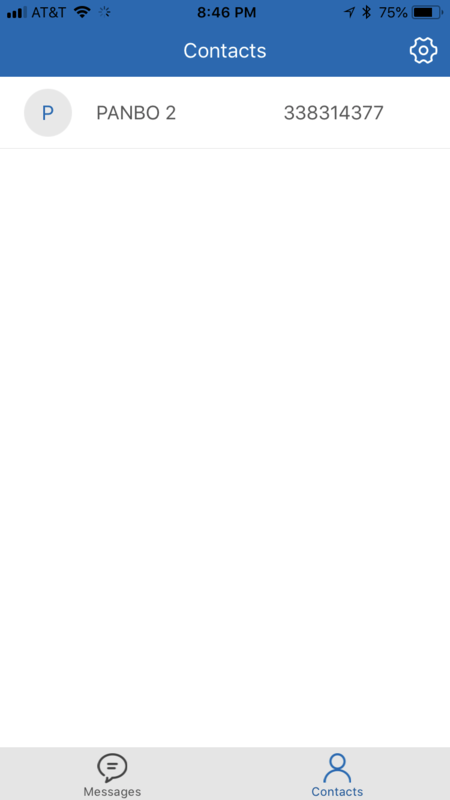 Replying to my own comment re: IC-M506. I find that the “new” channels (1021, 1022, etc.) are already there, but turned off – but they can be turned on! Because they are larger numbers, it looks like they will appear at the end of the list, not inline. What I don’t know is if they have the correct frequency info underneath (the software doesn’t show this). I’ll be at the boat (& radio) in a week or so – I’ll see how it works then. Let’s hope the rules don’t allow SMS use that precludes sharing with voice users – that could get ugly. But learning about the new channel numbers is also news, and something we need to be aware of – changing “Channel 22A” to “Channel 1022” is sure to confuse a few folks.. I also see the USCG has a plan for 12.5 kHz interstitial channels – I can’t wait =8^O Now I have to go retype a few interop codeplugs! I haven’t bought the RTCM recommendation, either. If another radio manufacturer follows Uniden with a VDSMS-cable radio, will the two brands inter-operate? One would hope the recommendation for the protocol encouraged that capability. It might – but the “executive summary” pointed to in the article specifically says it’s not an equipment standard. I also wonder about the addressing – which is already a big issue for AIS and DCS users – will everyone wanting to use these things be forced – like Ben was – to acquire a multitude of MMSI numbers, one per unit? Is that even legal? I had, and mostly still have, the same question. I presented that question to Uniden and they were noncommittal about whether it would work. Uniden’s answer seemed to indicate there was enough room in the way the spec is defined to leave room for multiple, incompatible implementations. Doing some thinking – being house-bound today (it’s raining!) 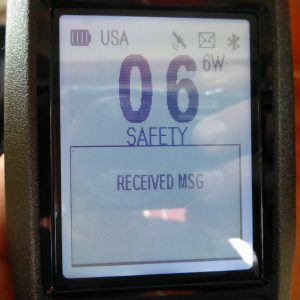 I started looking into the MMSI issue, because it’s obvious that if these devices become popular, folks are going to need a separate MMSI for each unit. I have an FCC license for Atsa, so I got an MMSI that way – but they’ll only issue one. Yes, it has a trailing zero, but rules that would allow me to change that zero into something else for subsidiary use don’t exist. So I took a look at BoatUS – but their rules are clear – they can only supply you one if you won’t “be communicating with or visiting foreign ports”. So I guess I could lie about it and get numbers from BoatUS (I do note they are prepared to issue you multiple numbers! ), but this seems more than a bit lame. My thoughts are that you’re correct that currently there is an issue with MMSIs being issued. One question Ben E. asked me while I was testing these radios was about whether or not I tried them with both radios set to the same MMSI. I didn’t try that and would expect that if I did I might well have seen unpredictable behavior. Here’s what I do think. 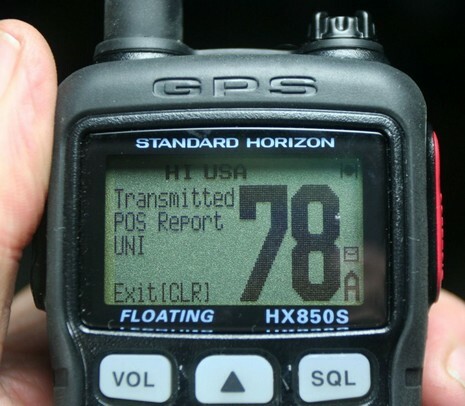 if you have a VDSMS capable radio and your cruising companions also have a VDSMS radio you could all utilize your FCC station license associated MMSI in your radios and the use case would still work. 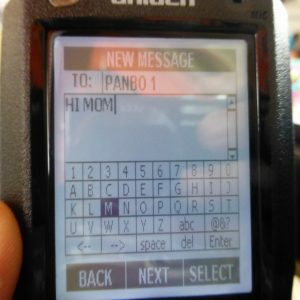 What would be harder is if you owned multiple VDSMS radios and wanted to be able to text among them. This difficulty isn’t new nor is it peculiar to VDSMS use cases. It can also come up with DSC capable (non VDSMS) handhelds as well as instances like dinghy mounted DSC fixed radios. 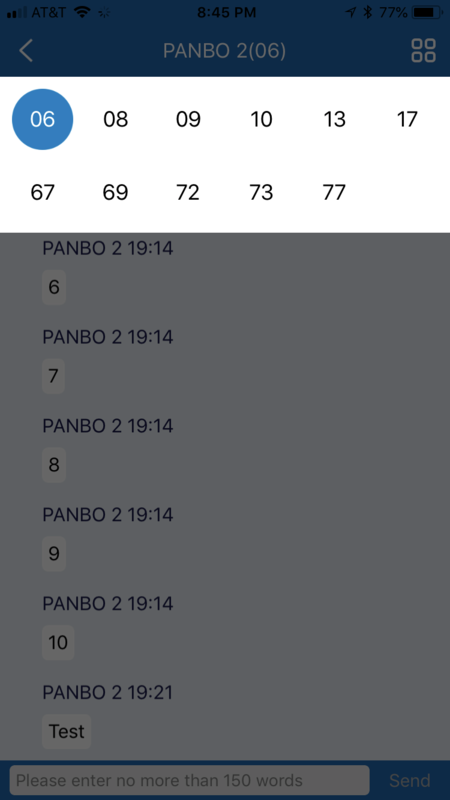 Well, for one thing, don’t presume that you need different MMSI numbers to text from one radio to another. The DSC protocol this texting is related to does not work that way. 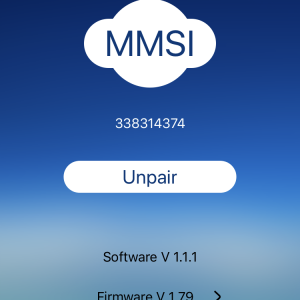 You can direct dial from one radio to another with the same MMSI, at least in my experience. But as I noted in that thread last summer, (the FCC can not produce the needed MMSI blocks without a major expensive software upgrade, so) such numbers are not available in the USA and the CG has suggested workarounds. 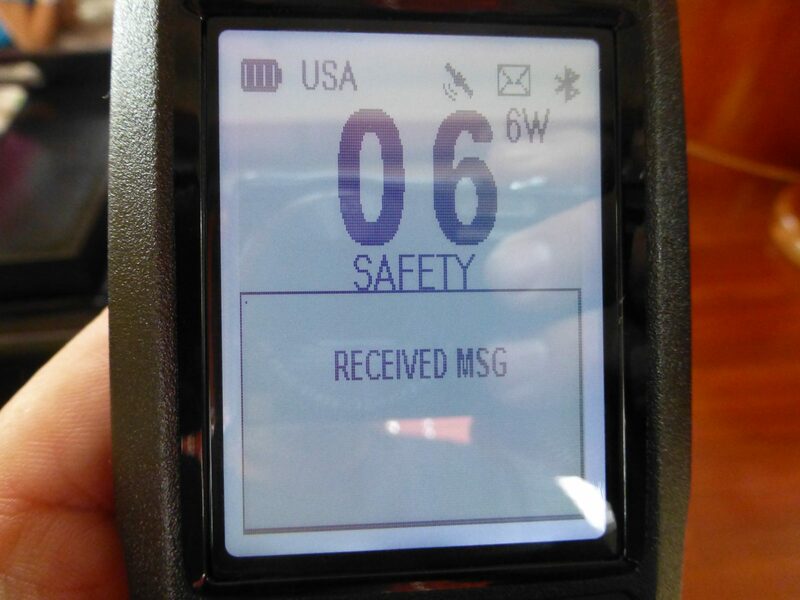 At any rate, according to Ben S, you can now get a handheld MMSI at BoatUS without entering a boat registration or document number, which may be the result of the CG’s tacit acknowledgment of the need. True enuff – all you have to do is be prepared to tell them (BoatUS) that you’re not going to any foreign ports and they will issue you a number (or multiple numbers). Whether there are any repercussions if that MMSI turns up elsewhere is not clear. I suppose could use the derived “Group MMSI” number, assuming I was willing to have every message going to every unit. I could also use my state-registered dinghy instead of Atsa, but the same “foreign port” lie would have to be told. As an aside, one of the places I found selling these radios online was also selling 2-packs and 4-packs — no mysteries there!